This lovely home is located in the Palmia guard gated senior community. It has 3 bedrooms, one is used as a den with no closet, 3 baths, a spacious loft, large eat in kitchen that opens into a nice size living room with a fireplace and a formal dining area. It is very light and bright, with high ceiling, and upgraded hard wood floors. The back yard has beautiful lush plants and a perfect setting for entertaining. Located on the corner of a small cul-d-sac and a short distance to the clubhouse. Palmia Senior Community is second to none with an 18 hole putting green, tennis & paddle tennis, pickleball, bocce, shuffle board, sand volleyball, a beautiful 12,000 sq. ft. club house, with billiards, a library, cards rooms, many clubs, parties and much more. 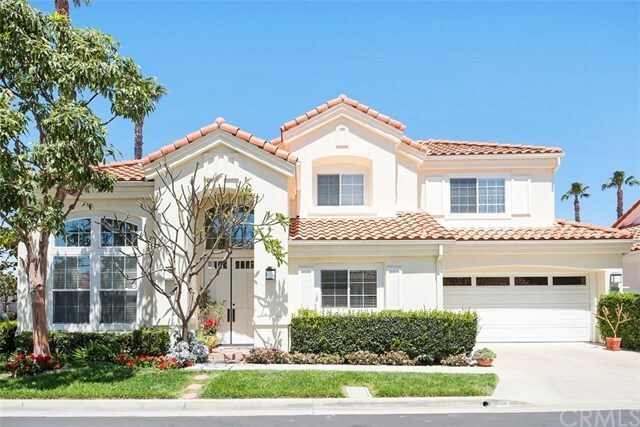 It includes membership to Lake Mission Viejo, which features, boating, sandy beaches, grassy picnic area, a snack bar, and wonderful summer concerts.